Sacred Selfishness - Bud Harris, Ph.D. Massimilla Harris Ph.D.Bud Harris, Ph.D. Massimilla Harris Ph.D. 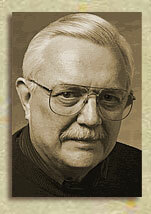 Bud Harris, Ph.D. Massimilla Harris Ph.D. In this early thirties, Bud was “restless and generally dissatisfied.” He was terrified that the rest of his life would “consist of going to work, meetings, church, soccer games, and vacations . . . simply adjusting to what one’s family or society describes as a ‘good life. '” This full-blown crisis led him into therapy and began a lifelong quest to become a person of substance. In Sacred Selfishness, he delves into classic quest stories to show that on the path of “renewed personal consciousness,” we must examine all assumptions about ourselves and our lives to uncover our hidden potential. True change must come from within, and no mere outer change can solve our problems. Attaining self-knowledge both softens and strengthens us, and helps us love and appreciate life and other people. It affirms and enriches our choices of partners, vocations, and life-styles. “When the inner quest brings change, we can be comforted by knowing it’s authentic, has been carefully thought through, and values our past and other people.” This is the path of Sacred Selfishness. by Bud Harris, Ph.D. with Gail Rogers, M.A. Download The Sacred Selfishness Workbook here. 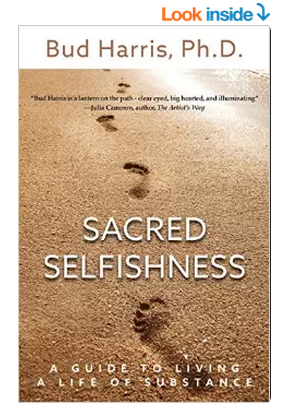 We now have free excerpts and other materials from Sacred Selfishness available for you here. 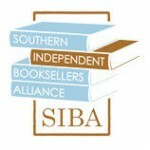 A proud member of Southern Independent Booksellers Alliance. We will keep you posted with new books, writings, events, and other news. Developed by Dr. Massimilla Harris, PhD, Dynamic Listening is a unique approach to healing and growth. In this video, she explains the process and how it works. © 2019 Bud Harris, Ph.D. Massimilla Harris Ph.D.